3. Extract the downloaded folder wherever you want..
4. Place the "tracetool service.apk" file in your phone and install it..
5. Then after the installation is successful connect your phone to USB cable (but don’t connect to storage)..
6. Start the windows part (Android tool) from the downloaded files ..
7. Select Refresh Devices, select Check Dns..
8. If (ok) then select Connect ..
9. when connection is done you can use your PC internet on your phone. Please LIKE on galaxyynation on FACEBOOK and hit the g+1 button! 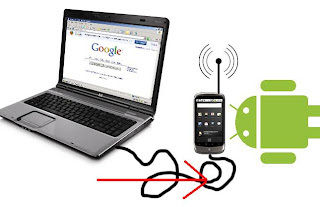 NOTE: If you leave the device idle for a long time then it might disconnect then you have to follow the steps again to connect..
pag click ng refresh device,ayaw po pero yung DNS ok nmn. please reply! can we download using this???? i.e.. gmaes from market , music,videos,etc!!!! but, can it use for whatsapp or any else?